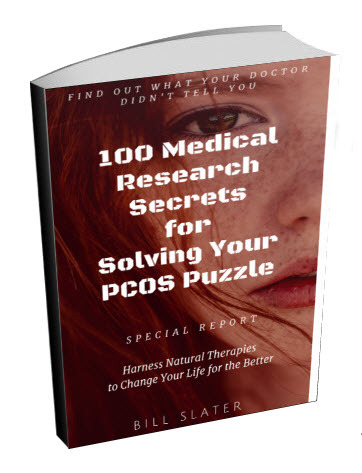 For better control of PCOS symptoms, are you looking for that "one thing" you can do? Here it is. Eat more vegetables. A lot more. Yes, that's where you should start, according to research on polycystic ovary syndrome. 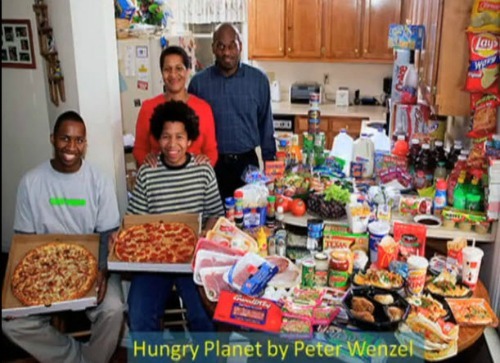 Look at the diet the average American family consumes in the picture below. Note that whole vegetables and fruits are almost totally absent. 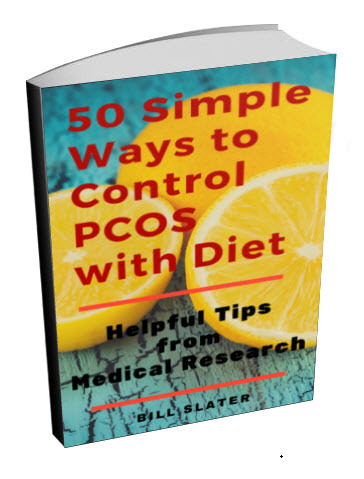 If your diet is like this, you now know the primary reason why your PCOS is giving you so much trouble. You simply cannot balance your hormones on a diet consisting mostly of processed convenience foods. So here's your challenge. 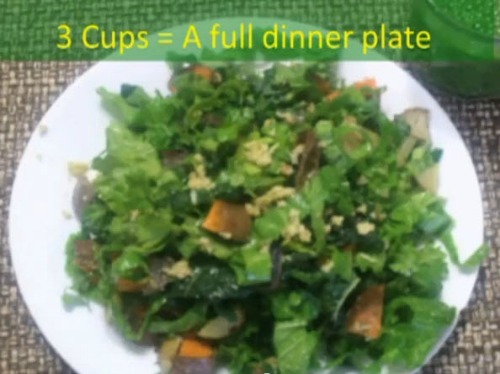 Will you eat at least six cups of vegetables every day? Three cups of vegetables is enough to create a heaping mound on an average dinner plate (see picture below). So two dinner plates of vegetables will do the job. In other words, your priority is to make sure you eat six cups of vegetables (excluding potatoes) every day, seven days a week. Besides the vegetables, have your usual protein and other foods you normally eat. 2 cups = leafy greens -- greens are rich in vitamins, minerals and other nutrients -- kale, parsley, spinach, swiss chard, bok choy, etc. 2 cups = sulfter-rich vegetables -- important for cell function and detoxification - - cabbage, broccoli, cauliflower, Brussels sprouts, turnips, radishes, onions, garlic, mushrooms, asparagus, etc. 2 cups = colored vegetables -- at least 2 different colors every day -- contain flavonoids and polyphenols that are important antioxidants -- support cell function, aid in removal of toxins -- beets, carrots, peppers, red cabbage, etc. Important note: white potatoes don't count as a vegetable. (Potatoes with pigmented flesh are OK, such as purple potatoes). Organic produce is your best choice, if available. Organic is a way to reduce intake of pesticides and other hormone-disrupting chemicals. Also minimize consumption of canned vegetables because some cans contain sealants that are hormone disrupters. Increasing your vegetable intake is only a first step. 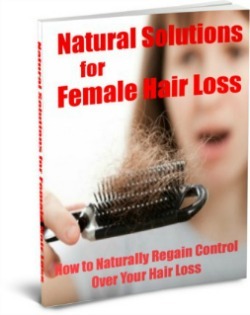 But a big step towards gaining some real control over PCOS. I think you'll be pleasantly surprised at the positive results after doing this consistently for 4 months. Did you have your five servings of vegetables today? That's what the U.S. government's new food guidelines recommend. We agree 100% with that. 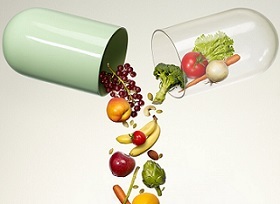 There are volumes of research clearly indicating that eating more vegetables will greatly improve your health. 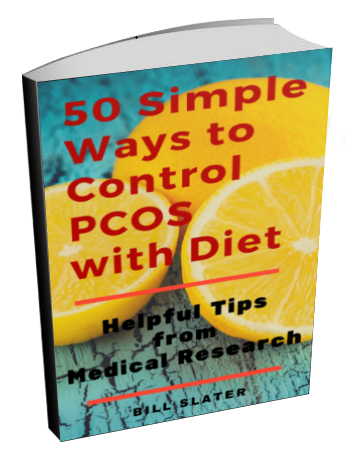 Better vegetable nutrition has also been shown to reduce polycystic ovary syndrome symptoms and its related consequences such as obesity, heart disease, diabetes, cancer, and premature death. An example is a recent study of 64,000 women. The researchers found that the women who consumed the most vegetables were the least likely to develop diabetes later on. Conversely, those who consumed the least amount of vegetables were the most likely to get diabetes. Interestingly, fruit had no effect. So don't be fooled into thinking that eating fruit is the same as eating vegetables. 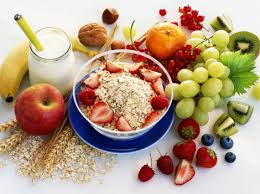 You may think that fruit is more convenient and tasty than vegetables. If so, you'll need to shift your perspective a bit and find creative, tasty ways to increase your consumption of vegetables. 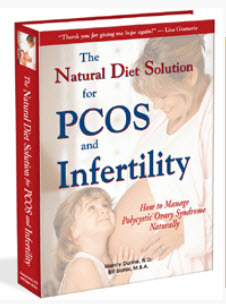 We emphasize the consumption of vegetables in our PCOS diet e-book. 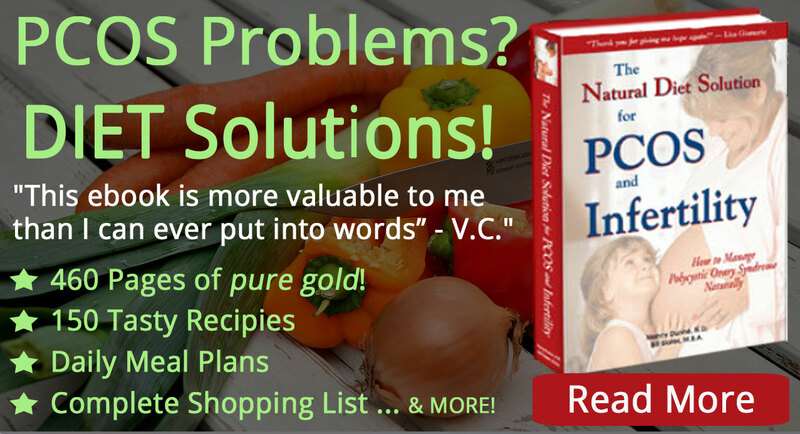 The book also contains recipes. What Do Pot and Fatty Foods Have in Common? Like Bread? Than Have Berries Too!